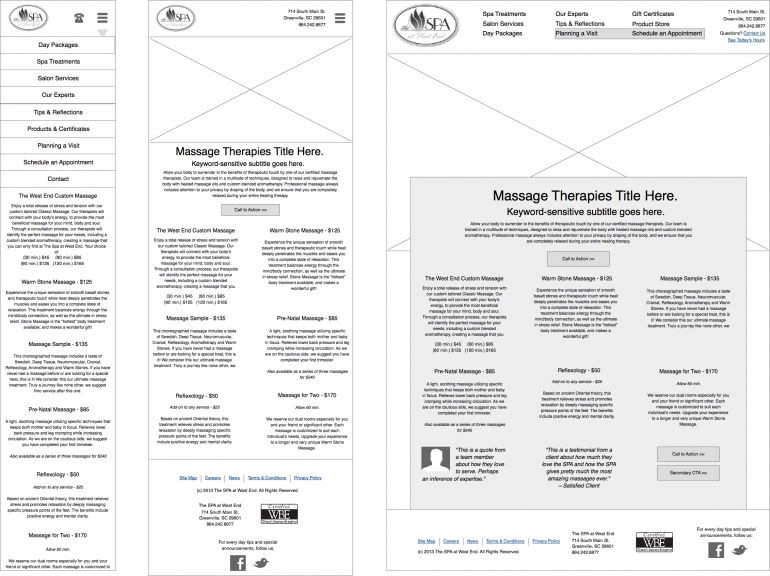 Chris began work for the Spa at West End by leading a user/market study that would go on to fuel a web site redesign. For the redesign, Chris would create an Information Architecture and UX Design which included a responsive prototype with notes for the design and development teams to follow. He would also optimize the Spa’s content for search engines. 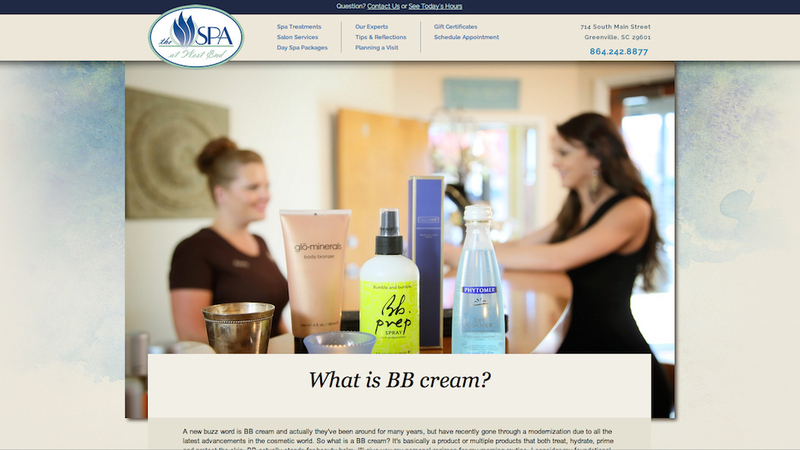 Because of the SEO’d content, The Spa’s site received a 50% surge in traffic in the weeks following its launch. 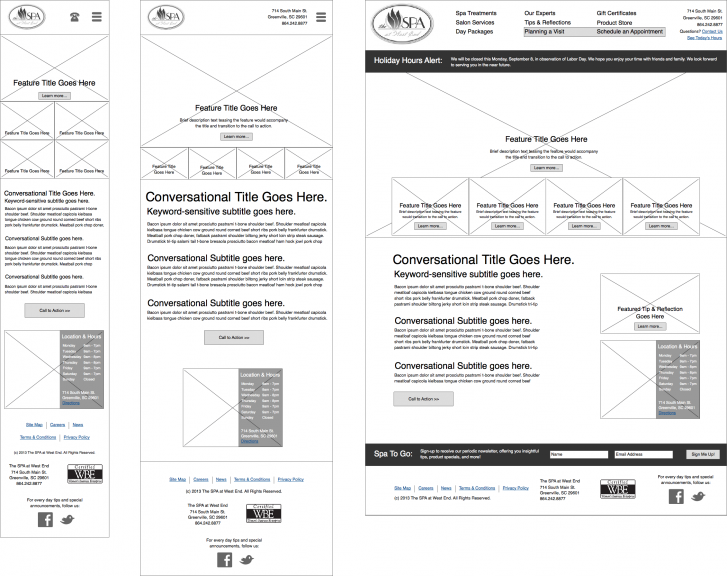 The UX Design was effective with a 100% increase in pages viewed per visit and a 30+% reduction in bounce rate.